Amateur sports groups are hoping a new fieldhouse can go ahead sooner rather than later now that the city staff has dismissed the more ambitious CalgaryNext plan as too expensive. Amateur sports groups are hoping a new fieldhouse can go ahead sooner rather than later now that city staff has dismissed the more ambitious CalgaryNext plan as too expensive. A report done for the city says the plan put forward last year by the Calgary Flames ownership group to build a combination hockey arena, football stadium and public athletics fieldhouse on the west end of downtown would cost far more than the initial proposal — likely as much as $1.8 billion. The study also found that cleaning up creosote contamination on the site could take at least six years before any construction can happen. 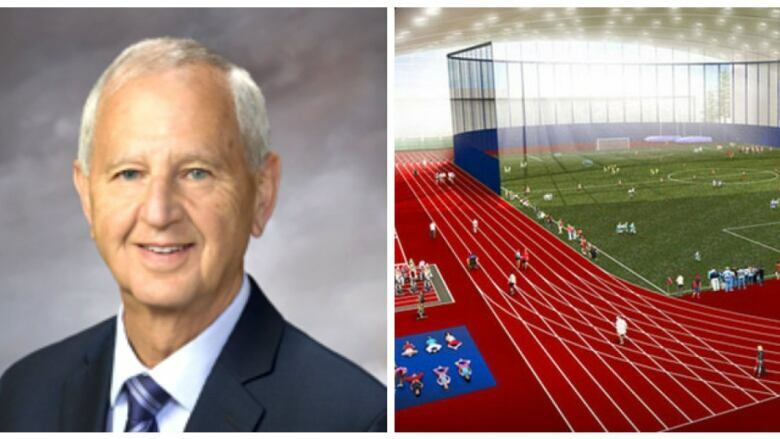 Murray Sigler, CEO of Sport Calgary, says amateur athletes should not to wait that long for a new fieldhouse. "All the big amateur sport organizations and groups have spoken for a number of years. Council's accepted that that's a priority, but it's not been funded." "We feel that there's an urgent need for a fieldhouse, that the decision point should come quickly." City council had previously identified Foothills Athletic Park, just north of McMahon Stadium, as the most suitable site for a new $200-million fieldhouse for amateur sports such as track, basketball and soccer. Sigler says that proposal should now be revisited. "Now's the time to get on with it. We'll try to help identify the public benefit, the public requirement, for that fieldhouse and give our perspectives on how the amenities and the timing work to meet that demand," he said.